Throughout 2018, Netflix became even more known for its noteworthy original television shows and movies. During the holiday season, Netflix proved itself again as it released its newest thriller, “Bird Box” (2018). The thriller was originally based on a 2014 book by the same title, written by Josh Malerman. The movie adaptation, directed by Susanne Bier, was released on Netflix on Dec. 21.
must blindfold their eyes so the entity does not take over their bodies. The only way the survivors can know an entity is among them is from panicked birds chirping. the present time shows the dangerous journey of Malorie and her children as they try to reach a safe haven. After its release, Rotten Tomatoes gave the film an approval rating of 64 percent. It was then announced by Netflix that, within seven days of its premiere, it became the most-watched Netflix film in the platform’s history, with more than 45 million subscribers watching. Bryce Acosta, sophomore computer science major, watched the film before it became a social media phenomenon and said he was happy that he did. “I watched it before it was hyped up, so I did not have any expectations. It was entertaining. The suspense with wondering whether they show whatever is out there kept building and that was good,” Acosta said. “Bird Box” (2018) initially split audiences on their opinion of the film. Some viewers liked the aspect of the loss of sight, as well as its themes and suspense. Others felt the movie left unanswered questions and even compared it to the film “A Quiet Place” (2018). Dr. Melissa Croteau, professor of film studies and literature, said the unanswered questions did not affect the film at all. “There may have been a longer version of the script where some of those questions were given answers. However, someone must have chosen to cut something out without harming the core narrative. I do not think answering those questions would help or hinder the film,” Croteau said. “Was it on purpose? One way or another yes it was. Filmmakers had to cut out what was not crucial to the narrative,” Croteau added. Rachel Simmons, senior business administration major, said the media around the film caused her to watch the film. For her, it was not what every- one had made it out to be. “I had seen a few memes on Facebook and I wanted to understand them. I thought it was an interesting concept. It was not well-explained, at least not as well as I would have liked.” Simmons said. 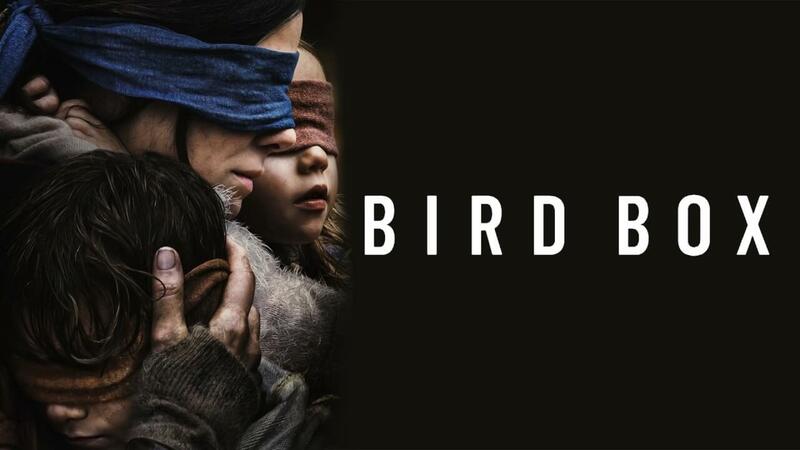 “Bird Box” is one of many successful Netflix original movies to premiere recently. The film has distinguished itself from other known films because of its compelling narrative and suspense, keeping Netflix subscribers eagerly watching. Not every film is perfect, so viewers can decide for themselves whether the movie lives up to the hype.